There’s more of the unexpected waiting for you on Windstar Cruise Tours, combining the best of the land and the sea to check off those bucket list experiences. 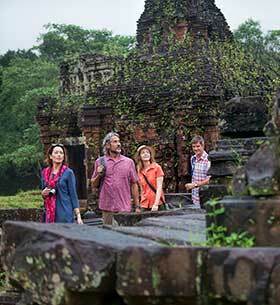 Go in-land and explore more of the culture and natural beauty to compliment your ports of call. Explore breathtaking Denali National Park with its frenzy of untamed wilderness and witness calving glaciers alive with a millennia of history all on the same itinerary. Take in up-close and personal experiences that you’ll tell stories about for years to come. 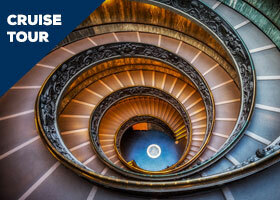 With Windstar Cruise Tours, we’ll handle all of the logistics on-land with tickets to attractions, hotel accommodations, select meals, every detail will be looked after. And because it’s Windstar, rest assured you’ll have an experience that awakens your sense of adventure and fills you with wonder. Awaken and inspire your sense of adventure as you sail north through Canada’s Inside Passage to Alaska along the same waterway frequented by prospectors and fortune-seekers more than a century ago. Your first stop is Ketchikan, a former last-stop mining supply outpost to Skagway-bound adventurers. Wander among the world’s largest totem pole collection and ponder contemporary dilemmas, like whether you want your Chinook salmon served sizzling on an aromatic cedar plank or cured next to an open alder wood fire. Whatever you decide, pair it with a side of sourdough bread and raise a glass of microbrew to the memory of the Klondike stampede. Admire the glaciated slopes and ice floes of Alaska’s Misty Fjords, Tracy and Endicott Arms and Kenai Fjords, but keep a weather eye on the horizon for the telltale spray and black fins of orca pods. Disembark in Seward and ride inland to Fairbanks and scenic Denali National Park. Caribou, foxes and Dall sheep observations are nearly certain, but even the locals grow excited about grizzly and wolf pack sightings. A detailed float along the Chena River provides additional opportunities for ursine encounters prior to your transfer to Fairbanks Airport and your reentry into the predictabilities of a less-adventurous modern civilization. Combine an Inside Passage cruise stretching from Vancouver, British Columbia to Alaskan scenic fiords with a train and coach tour across British Columbia to the Canadian Rocky Mountains. Float among turquoise-tinged Alaskan ice floes in kayaks or Zodiacs with Windstar’s Signature Expedition guides, a team of highly skilled naturalists and wildness experts who assist and answer questions throughout the entire cruise. 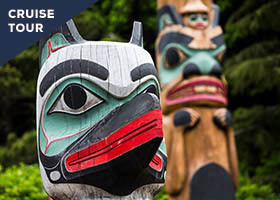 Sample Ketchikan’s tangy smoked salmon, rich Dungeness crab and frothy Alaska microbrews or wander among the largest collection of standing totem poles in the world. Shop for unique gifts and keepsakes in one-of-a-kind boutiques and modern galleries in Vancouver’s Gastown. 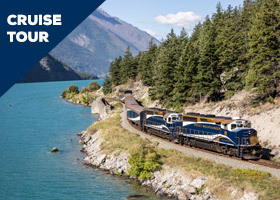 Board the Rocky Mountaineer for a railway journey along the rushing Fraser River, verdant ranchlands, forgotten homesteads and precipitous canyons leading up and across North American’s Great Continental Divide. Soar skyward to the Sulphur Mountain summit and take in the panoramic splendors of Banff, sloping Mount Rundle, and distant jagged peaks. Strap in for a close-up tour of wilderness mountain peaks on a breathtaking helicopter tour. The journey eventually concludes after an overnight stay in Calgary, where you’ll find time to shop and ride to the top of Calgary Tower with countless sparkling city lights stretching from Alberta’s flat eastern prairies to rolling western foothills and peaks traced in sunset afterglow. 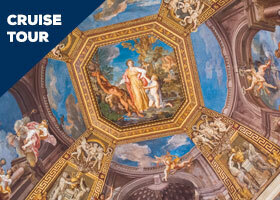 From the grandeur of ancient Rome to the Renaissance splendors of the Western Civilization’s greatest artists, few countries have influenced the modern world like Italy. 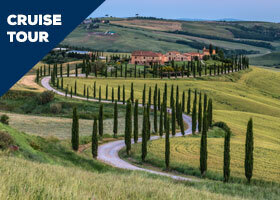 This 11-day cruise tour visits both sides of the Italian peninsula with stops in romantic Venice, small ports along the scenic Dalmatian coast, and a delicious and captivating land tour of both Tuscany and Rome. Float along Venetian canals while listening to singing gondoliers. Soar to expansive Adriatic views as a tram sweeps you high above Dubrovnik’s ancient walls and rustic old town charms. Slurp rich Spaghetti alle Vongole, blended with fresh clams, rich shrimp or fried calamari at a table overlooking the Sorrento seashore. Walk around the towering white marble statue of Michelangelo’s David, a Renaissance masterpiece embraced by Florentines as a symbol in defense of civil liberties. Sniff and sip the red, black and sour cherry aromas and flavors characteristic of the best Chianti wines. Wander Roman piazzas, ancient gathering spaces for families and neighbors for over 2,000 years.